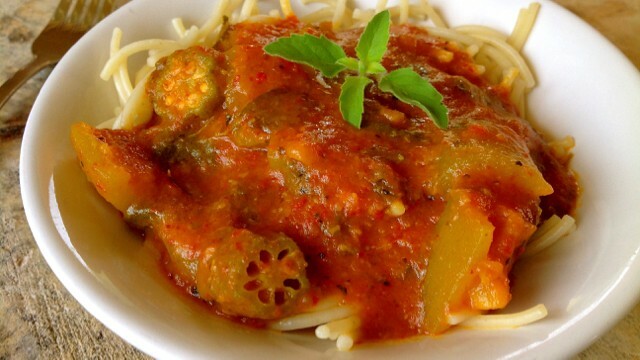 Did you know that a fully ripened snake gourd vegetable transforms into a wonderful tomato replacement? The pulp surrounding the seeds are a bright red color and have a sweet flavor. The orange creamy pulp that is on the skin has a very nice mild pumpkin flavor and has the texture of very creamy mashed potatoes. These two pulps blended together create a smooth sauce and when adding yogurt whey (the sour flavor) it creates a perfect tomato sauce! So delicious! Here is the wonderful dish I put together together today. Mostly all ingredients came from the garden! This soup is so simple to make and packed with all wholesome and sattvic ingredients. Perfect winter soup to boost your immunity! If you live in the tropics, taro root is a great vegetable to grow on a self sufficient farm. It gives a lot of food and there are so many different ways of preparing dishes with it. Try these fried taro chips. They're crunchy and delicious! Don't have an immediate use for all your precious whey? Preserve it for future use with this easy compact method! It is spring time and the Tulasi Manjaris are blooming by the hundreds. We have lots of her to offer to Kṛṣṇa. What to do with all the mahaprasad manjaris after offering them to Kṛṣṇa? Here is a lovely and magical drink that is sure to increase your devotion for Tulasi! Tulasi Maharani ki jaya! "Lord Hari has personally declared that even after committing thousands of sinful activities in the early part of his life, if one eats tulasi leaves, he will be freed from the reactions to all his sins." 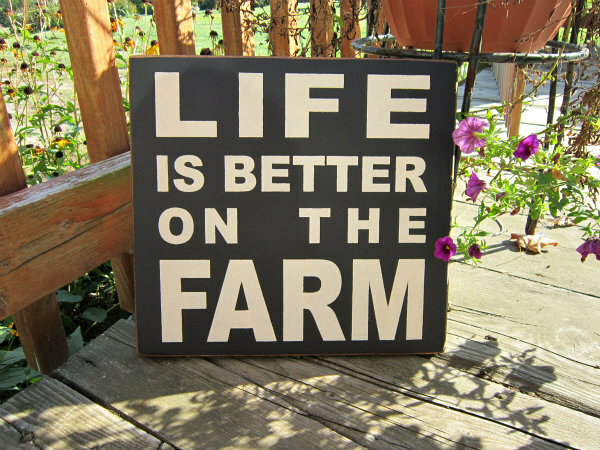 Prabhupada is asking us: Farm, farm, farm, farm! 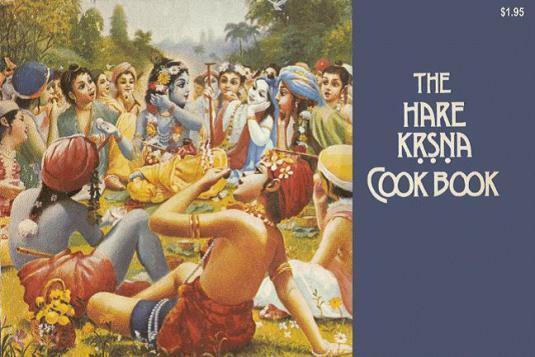 Have you ever wondered what Srimati Radharani and the Gopis cook for Kṛṣṇa everyday? 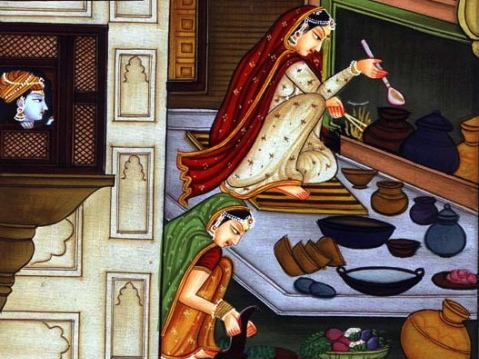 Here is a beautiful pastime of the exciting events that take place in Mother Yasoda's kitchen in preparation for Kṛṣṇa's return from the cow herd fields. 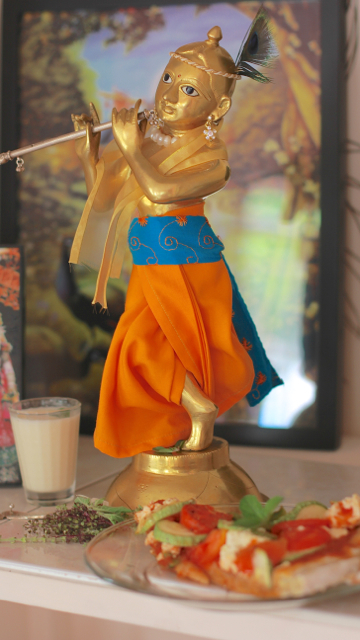 These verses give us clues to Kṛṣṇa's favorite foods! In preparing food, cleanliness is the most important principle. Nothing impure should be offered to God; so keep your kitchen very clean. 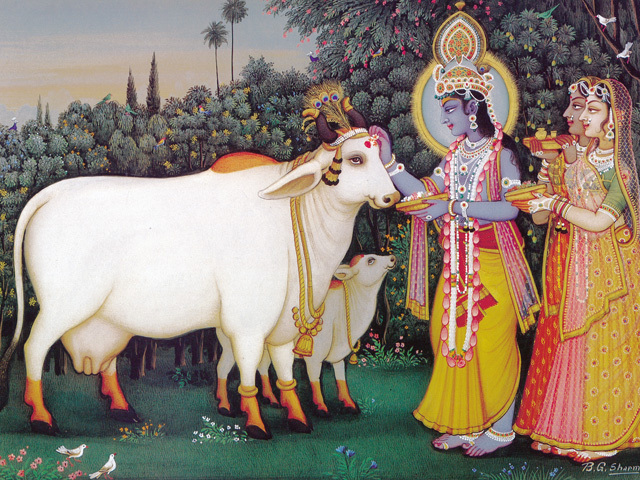 All the recipes you find here are designed to celebrate our Mother Cow. 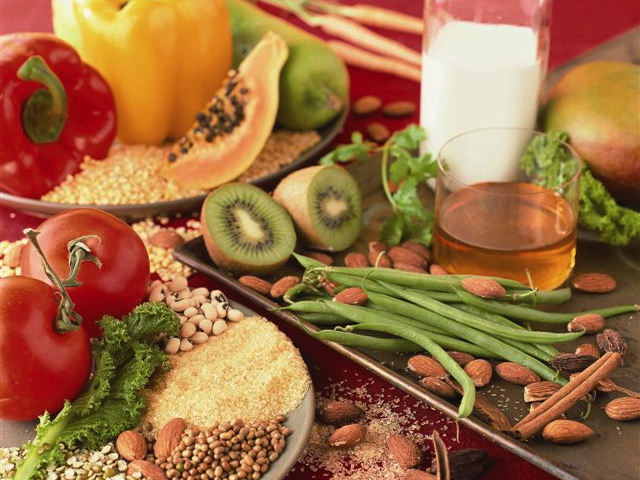 Every recipe is using one or many different milk products. Our goal is to demonstrate all the possibilities there are in cooking and preparing wholesome meals by using the many milk products available.